The Unsettlers is a facinating look into groups of people who have actively searched out truly living a simpler life in these times of technology, luxury and instant gratification. Often this is an idealistic, not realistic, way of life and many people prove unwilling to handle the difficult manual labor it takes to grown and kill their own food, make power that is off the grid, not partake in everday comforts like cars, computers, hot showers...I often struggle with trying to live a more sustainable and ethical life, yet still want modern day amenities. 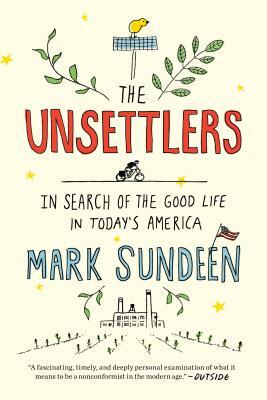 Mark Sundeen's book is thought provoking and would make a FANTASTIC book club selection.